Southern Nevada’s water system consists of intake, transmission, treatment and waste water processes. Over the years, the Southern Nevada Water Authority has undertaken massive construction projects in order to ensure that these systems work as efficiently and effectively as possible. One such undertaking was a $2.9 billion capital improvements program to meet the increasing water needs of Las Vegas and the surrounding area. From 1995 to 2010, the program led to not only construction of the River Mountains Water Treatment Facility (which includes SNWA’s Water Quality Quality Laboratory and Applied Research and Development Center), but also to significant enhancements to the reliability and quality of the pre-existing water treatment and delivery system. Due to unprecedented drought conditions, construction is currently under way on a third drinking water intake at Lake Mead. Scheduled for completion later in 2015, this new intake will maintain Southern Nevada’s ability to draw upon Colorado River water and will protect municipal water customers from water quality issues associated with declining lake levels. SNWA also recently accepted recommendations from a citizen’s advisory committee to construct a low lake level pumping station that will replace its existing pumping facilities should Lake Mead fall below 1,000 feet. 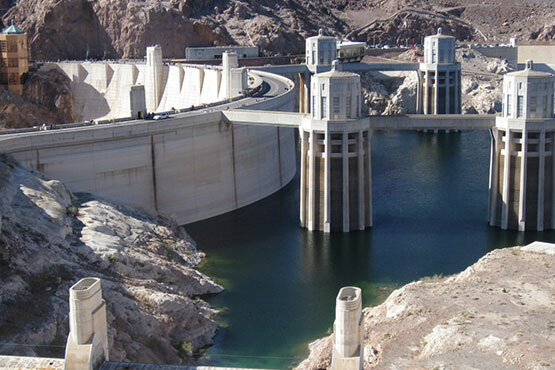 The pumping station will work alongside the SNWA’s third intake to ensure continued access to Lake Mead, Southern Nevada’s primary water source, even if the ongoing drought persists. Design and construction of this low lake level pumping station is estimated at $650 million and could be completed as early as 2020.